The Adventures of A.R.I, LLC, Ace Entertainment Films Inc. and AZ Films, in association with the Oklahoma Film + Music Office (OF+MO), are proud to announce the start of production on the feature film “A.R.I.” The film, which is utilizing the Oklahoma Film Enhancement Rebate Program administered by OF+MO, began principal photography on March 29, 2019, with filming scheduled for multiple locations around the state, including the production’s main hub in the City of Tulsa. With an almost entirely Oklahoma-based crew, “A.R.I.” marks the second film that Ace Entertainment Films Inc. has produced in Oklahoma with another production in the pipe line scheduled to shoot later this year. “We are very excited to be back in the Tulsa region to work and collaborate with the local film crew and community as a whole to bring this family-friendly story to the big screen,” said Producer Zeus Zamani, who previously produced the films “Coven” and “The Last Exorcist”, both utilizing the state’s film incentive program. A unique mixture of films such as “RoboSapien” and “Chappie”, with universal themes such as family values, friendship and courage, “A.R.I.” is a family adventure movie that tells the story of an adventurous teenager who summons the courage to help a friendly robot escape from the clutches of a director that wants to use him for a weapon. Upon completion of filming in Oklahoma, the film will immediately go into post-production as the production has already secured pre-sales for distribution in North Amercia, the United Kingdom (UK) and France. For more information about the Oklahoma Film Enhancement Rebate Program, visit the Incentives Page. 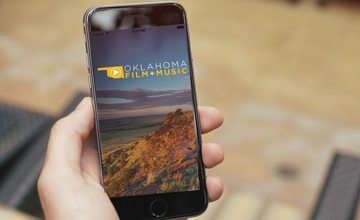 Created in 1979, the Oklahoma Film + Music Office (OF+MO) strives to share all that Oklahoma has to offer by welcoming filmmakers and music professionals to the state and by creating a network of support to develop Oklahoma’s film and music industries. For more information about the Oklahoma Film Enhancement Rebate Program or the Oklahoma Film + Music Office please visit okfilmmusic.org. Jérôme Reygner-Kalfon, Managing Partner, started as a Sale Assistant at Europe Images International (Lagardere Group). He then moved to AB International Distribution (AB Group) as a Sales Manager then as the Sales Director. After four years he decided to launch ACE Entertainment France with Sebastien Semon in 2003. Sébastien Semon, Managing Partner, started in the finance industry at Worms & Cie before moving into the TV business (AB Group) as a Multimedia Director during two years then started ACE Entertainment France with Jerome Reygner-Kalfon.